With sadness but fond memories the family of Gertie Vandall announces that she passed away peacefully with her family by her side on September 12, 2018. Gertie was born to John and Rose (nee: Napope) Nayneekassum. She always helped out where ever she could and was always concerned about others welfare above her own. 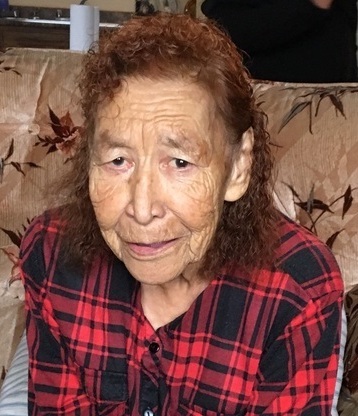 Gertie is survived by her children, Rosieta Vandall, Maureen Ahenakew, Lester Vandall, Clifford Vandall and Pearl Vandall as well as numerous other relatives and friends. She is predeceased by her husband, Burton and other relatives and friends. The wake service for Gertie will commence at 2:00PM on Saturday, September 15, 2018 at Ahtahkakoop First Nation Band Hall. The funeral service will start at 2:00PM on Monday, September 17, 2018 at the same location with Burton Ahenakew officiating. Interment will follow in St. Mark's Anglican Cemetery. Family and friends wishing to send online condolences are welcome to visit www.beaulacfuneralhome.com. Funeral arrangements have been entrusted to the care of Beau "Lac" Funeral Home, Fred Pomrenk, Funeral Director, Shellbrook (306-747-2828).